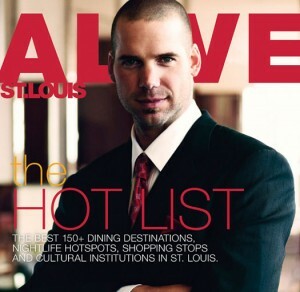 Last post on Chris Carpenter for a while. Promise. You know the Cardinals team meeting in August that has been referenced several times now? Well, Carpenter keeps downplaying it, but World Series MVP David Freese said last night that it was the Cards' turning point. "I sit here right now, and I still can't believe that we actually did this. I keep thinking about mid-August, the mood of the team, kind of the disappointment of what was going down," Freese told the media after World Series Game 7. "Carp said, 'Let's get together and talk about some things.' You know, most importantly we said that the fans deserve for us to make a run at this. You get 3 million plus for the last however many years consecutively, and that's incredible, so they deserve this just as much as anybody else." Wow. That may not sound genuine if you've never been to St. Louis, but, trust me, there's a real love affair between the fans and players. Both sides fulfill each other's need. It's a symbiotic relationship, like the clown fish and coral. The Cardinals ace improved to 9-2 (3.05 ERA) in 15 career postseason starts. That's now three World Series wins for Carpenter, including a scoreless eight-inning performance against the Tigers in 2006. Chris Carpenter will start Game 7 of the World Series tonight. I had this story yesterday after confirming with a source that had direct knowledge of the plan: a uniformed member of the Cardinals ... a pitcher. Derek Jeter, Reggie Jackson and Mariano Rivera, three iconic Yankees, have each won a World Series MVP, but we love it when somebody like David Freese comes along and wins the prestigious award. I mean, he quit baseball and worked for his town's maintenance department before going to junior college. A look at some unlikely MVPs in the Fall Classic: Edgar Rentaria, 2010: Batted .412 with two homers, six RBI for the Giants. Hideki Matsui, 2009: Yankees don't beat the Phillies without Matsui's red-hot bat (.615, three homers). Scott Brosius, 1998: What a gamer. Every championship team has a Brosius somewhere. Batted .417 with two homers, six RBI. Pat Borders, 1992: Everyone thinks of Joe Carter in 1993, but Borders was the man in '92 by hitting .450 with a homer. Bucky Dent, 1978: "Yaz looking up ... That ball is gone." Oh, wait, that wasn't the Fall Classic. Dent's homer in the one-game playoff at Fenway Park remains etched in our minds, but he also batted .417 with six RBI in the Fall Classic. Love how the managers and media are working together on this one. Here's the situation: Tony La Russa enters the press room at Busch Stadium to talk about the World Series. You can't really ask the St. Louis manager about Chris Carpenter pitching a potential Game 7 -- which is a good story -- because the Cards first need to win Game 6. What to do? Talk "Moneyball." "Good acting. I mean, I was offended because of what the book represented and how a lot of those guys were portrayed," La Russa told reporter before Game 6. "I knew a few of those guys as scouts. It strains the credibility a little bit. (The A's) win 20 in a row, qualify for the playoffs, go two up on the Yankees, and there wasn't anything in the movie except a brief about Miguel (Tejada) and Eric (Chavez), three starters, Billy Koch. It was about a couple of trades and turning Scott (Hatteberg) into a first baseman. That club was carried by those guys that were signed and developed the old-fashioned way. That part wasn't enjoyable. It's a nice story but it is not accurate enough." It's now definitely a plan. He will start on three days of rest if St. Louis gets there. How great is Ron Washington? Each time the Texas manager answers a question in a press conference, it makes you realize why his players love going to battle for him. On Wednesday, he was asked, "Since Tony La Russa is a hanging out with Bill Parcells, Rick Carlisle and Bobby Knight, who do you get to hang out with?" Wash: "I get to hang out with (coaches) Mike Maddux, Jackie Moore, Gary Pettis, Dave Anderson, (Scott) Coolbaugh, and my team. That's it." "To me, it was a great movie about a general manager that was hamstrung as far as dollars go, and he had to find players and put them together under a formula that he thought would work ...You know, I realize they didn't mention (All-Stars) Eric Chávez, Miguel Tejada, (Barry) Zito, (Tim) Hudson, (Mark) Mulder, but that wasn't what it was about." The Red Sox desperately missed the guidance and voice of John Farrell in 2011 -- and it showed down the stretch as Josh Beckett led a Beer and Wings Tour de Force. Once the Blue Jays learned that Farrell was might be targeted to manage the Red Sox, they changed a policy and will no longer grant permission for lateral moves. No, Boston, you can't have Farrell. He's under contract for two more years. We like him. Take a hike. That's essentially what the Jays said by making a policy change. Bob Elliott wrote a terrific piece on this topic today, saying if Farrell left Toronto, it would leave the Jays feeling like "second-class citizens in their own division." More Elliott: "The Jays would have been like the Kansas City Athletics in the 1950s and 1960s, when K.C. served as a farm team for the New York Yankees, although both were in the American League." Cherington came across as genuine when saying he felt the anguish and "pain" along with Red Sox fans during a tumultuous September and into the off-season. "We've let our fans down in some important ways recently," he said. Sad news for other teams: John Lackey won't be pitching in 2012. Boston's overpaid, TMZ-hating starter is undergoing Tommy John surgery any day. To quote a kneecapped Nancy Kerrigan, "Why? Why?" What was Tony La Russa thinking in World Series Game 5 while making all those boneheaded moves, leading to a 4-2 Texas win? The 9th inning alone was nuts. Allen Craig was thrown out trying to steal second base, sucking the life out of St. Louis with Albert Pujols at the plate. Yes, it was a hit-and-run and La Russa was trying to open up a hole at second base, but that's not a risk worth taking with Pujols hitting. Pujols struck out on a high-and-outside pitch, and Mike Napoli gunned down Craig by a mile. Craig was caught stealing twice in a World Series game for the first time since Billy Martin in 1955. The bullpen debacle: I'm a big fan of Marc Rzepczynski. Big fan. But "Zep" needed to be on the bench watching Jason Motte pitch against red-hot Napoli, who ended up ripping a two-run double. La Russa later said there was some miscommunication when he called the bullpen and asked for Motte to warm up. "I called twice. I called back for Motte, and we got the wrong guy," La Russa said in postgame. What? In this day and age of human rain delays, if La Russa wanted Motte, he could've gotten Motte. Don't blame it on the phone line or bullpen coach. Also, why was Craig sac-bunting in the third inning? Pujols simply was intentionally walked (one of three times), and The Machine never really had a chance to hit all night. "We just weren't playing well. We didn't look good when we were playing, and it wasn't just me that felt something needed to be said," Carpenter told the media before World Series Game 4. "It was about continuing to play hard, doing the best we can. At that time, Milwaukee was doing their thing ... and there was a lot of angst in what was going on in our clubhouse with the race, with our team, and the expectations of what we had. We didn't want to lose those expectations, even though everybody had written us off. We might not catch Milwaukee, we might not catch Atlanta, but let's go ahead and do everything we can to, one, not embarrass ourselves because we have a great ballclub. "Let's not embarrass our coaches that worked their butts off to help us win. Let's not embarrass our organization and our fans. Let's at least make it look respectful. And that was it. A few other guys spoke, and we started playing better." I sat with Ben Cherington's mom, Gretchen, and looked at family pictures of her only son last week. In each picture baseball picture of Ben, he was completely focused on the action -- even as a 5-year-old watching his first Red Sox game from the bleachers. “Ben was just riveted,” his mother, Gretchen, said. “I think every other 5-year-old wasn't paying attention, but he just watched what was going on. There was a focus and passion for the game way back then.” More on a Lifetime of Preparation for Ben Cherington in my full story here.